Jim McCann is a successful entrepreneur, public speaker and author whose passion is helping people deliver smiles. Jim’s belief in the universal need for social connections and interaction led to his founding of 1-800-FLOWERS.COM, which he has grown into a leading florist and gift shop and Celebrations.com, a leading website for expert party planning content and advice. Jim’s willingness to embrace new technologies that help people connect and express themselves, such as the Internet, mobile commerce and social networking, often long before others, has enabled him to stay at the forefront of consumer and social trends. As a result, he has become an award-winning public speaker, a published author and a frequent guest on radio and television programs nationwide. 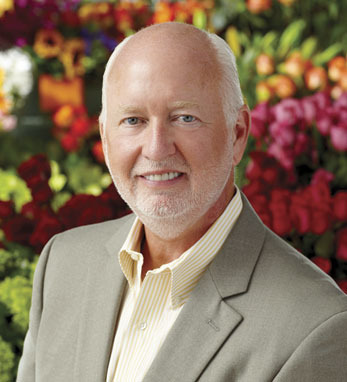 In addition to serving as chairman of the Board of Directors for 1-800-FLOWERS.COM, Jim is a member of the Board of Directors of Willis Group Holdings Limited and a variety of private and not-for-profit boards. Jim is a third-generation Irish American with roots in Armagh and Limerick.